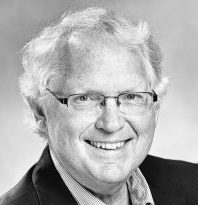 David VanderZwaag is Professor of Law and the Canada Research Chair (Tier 1) in Ocean Law and Governance at Dalhousie University, Halifax, Canada. He teaches international environmental law and is the past Co-director of Dalhousie’s interdisciplinary Marine Affairs Program (1986-1991) and the past Director of the Marine & Environmental Law Institute. David has authored over 150 papers in the marine and environmental law field. He has written widely on polar law and policy issues including: co-leading the writing of the Governance of the Arctic Shipping chapter of the Arctic Marine Shipping Assessment (Arctic Council 2009) and co-editing The Challenge of Arctic Shipping: Science, Environmental Assessment and Human Values (Montreal & Kingston: McGill-Queen’s University Press, 1990) and Transit Management of the Northwest Passage: Problems and Prospects (Cambridge: Cambridge University Press, 1988, reprinted 2008). His most recent book publication is: Polar Oceans Governance in an Era of Environmental Change (edited with Tim Stephens) (Cheltenham, UK: Edward Elgar 2014). He continues to serve as regional reporter on the Arctic for the Yearbook of International Environmental Law.